Starting tomorrow is the four day Thanksgiving Holiday weekend for most in the United States. I’ve always found Thanksgiving to be an odd holiday when you really look at how it started and why were still celebrating it, but I’ll accept any tradition that does its best to bring people together. There will never be enough of that going on. What is unfortunate is that a holiday needs to happen in order for this to be accomplished. This should be all year round. The meaning of this long weekend has lost its flavor. It’s all about shopping. It’s about Black Friday and now Black Thursday. More and more retail stores are opening in the late evening on Thanksgiving Day. This is of course a backwards step for humanity where our priorities are shifting into greed. Close up. Take a break. Relax. “In 2006, a man shopping at Best Buy was recorded on video assaulting another shopper. Unruly Walmart shoppers at a store outside Columbus, Ohio, quickly flooded in the doors at opening, pinning several employees against stacks of merchandise. Nine shoppers in a California mall were injured, including an elderly woman who had to be taken to the hospital, when the crowd rushed to grab gift certificates that had been released from the ceiling. In 2008 a crowd of approximately 2,000 shoppers in Valley Stream, New York, waited outside for the 5:00 am opening of the local Wal-Mart. As opening time approached the crowd grew anxious and when the doors were opened the crowd pushed forward, breaking the door down, and trampling a 34-year old employee to death. The shoppers did not appear concerned with the victim’s fate, expressing refusal to halt their stampede when other employees attempted to intervene and help the injured employee, complaining that they had been waiting in the cold and were not willing to wait any longer. Shoppers had begun assembling as early as 9:00 the evening before. Even when police arrived and attempted to render aid to the injured man, shoppers continued to pour in, shoving and pushing the officers as they made their way into the store. Several other people incurred minor injuries, including a pregnant woman who had to be taken to the hospital. On the same day, two people were fatally shot during an altercation at a Toys ‘r Us in Palm Desert, California. During Black Friday 2010, a Madison, Wisconsin woman was arrested outside of a Toys ‘R’ Us store after cutting in line, and threatening to shoot other shoppers who tried to object. A Toys for Tots volunteer in Georgia was stabbed by a shoplifter. An Indianapolis woman was arrested after causing a disturbance by arguing with other Wal-Mart shoppers. She had been asked to leave the store, but refused. A man was arrested at a Florida Wal-Mart on drug and weapons charges after other shoppers waiting in line for the store to open noticed that he was carrying a handgun and reported the matter to police. He was discovered to also be carrying two knives and a pepper spray grenade. A man in Buffalo, New York, was trampled when doors opened at a Target store and unruly shoppers rushed in, in an episode reminiscent of the deadly 2008 Wal-Mart stampede. On Black Friday 2011, a woman at a Porter Ranch, California Walmart used pepper spray on fellow shoppers, causing minor injuries to at least 10 people who had been waiting hours for Black Friday savings. It was later reported that the incident caused 20 injuries. The incident started as people waited in line for the newly discountedXbox 360. A witness said a woman with two children in tow became upset with the way people were pushing in line. The witness said she pulled out pepper spray and sprayed the other people in line. Another account stated: “The store had brought out a crate of discounted Xbox 360s, and a crowd had formed to wait for the unwrapping, when the woman began spraying people ‘in order to get an advantage,’ according to the police. In an incident outside a Walmart store in San Leandro, California, one man was wounded after being shot following Black Friday shopping at about 1:45 am. Also stemming from Black Friday unruliness in 2011, 73-year old greeter Jan Sullivan was fired from a Tampa area Wal-Mart after she was shoved by a Black Friday shopper. Sullivan alleges that when she attempted to stop an unnamed woman from exiting through a door where exits were not being permitted, the woman pushed her. Sullivan claims that as she fell, she instinctively tried to grab onto the woman to keep from falling. Since Wal-Mart employees are not allowed to touch customers, Sullivan was then fired. The story has been a source of some controversy for Wal-Mart and garnered much community support for Sullivan, including media coverage and at least two Indiegogo fundraisers were launched to support her financially after the incident. When I connected for messages from now into the weekend, surprisingly the first thing that came up was: LOVE. Love is the biggest feeling experienced when you cross over. It is Heaven and the spirit world’s mantra. Love. Joy is right there with love. Remember what is ultimately important to your soul and why you are here. It is to love. It is to give and to spread love. This mantra should be adopted everyday and every minute of your life. Deep down your soul knows what you can do to bring yourself back. Know your light. Know your power. Know what you were born here to be. Love is who you are. Love is the source of all that you wish. Love is the source of power. The more that you love, the safer you are. The more that you allow yourself to love the more powerful you are. All of our goals are to unite as many people as possible in peace, love and joy. When all else fails, remember: LOVE. Think and breathe the word always. 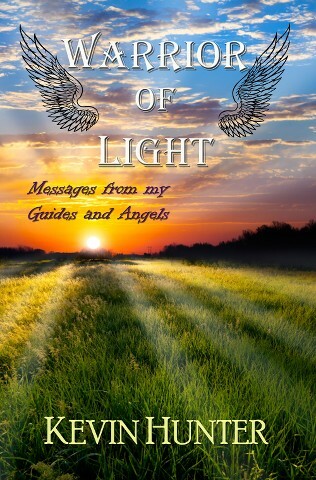 Learn how to connect with your own Spirit team in Heaven by fine tuning your body and soul. 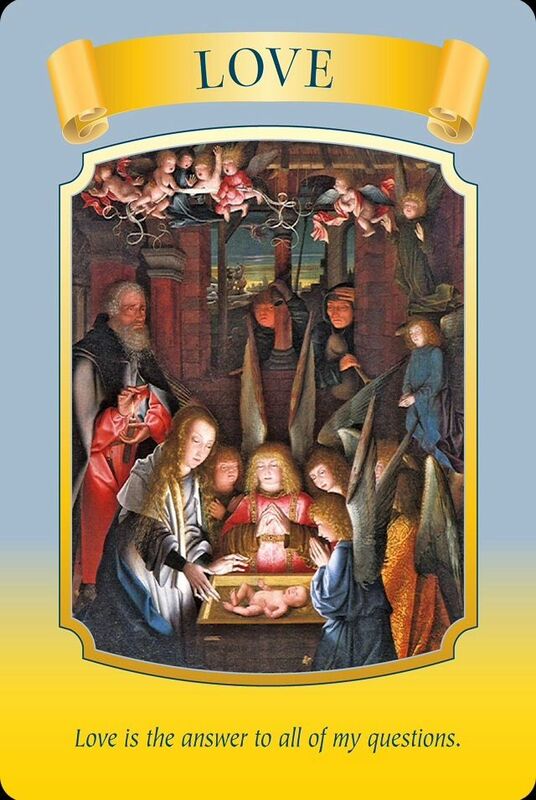 All books are available in paperback and kindle wherever books are sold. 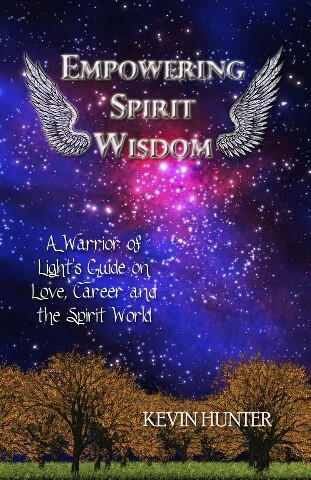 “Empowering Spirit Wisdom: A Warrior of Light’s Guide on Love, Career and the Spirit World“ Paperback. Kindle.